News coming from down east last week wasn’t good. Recent weather changes combined with excess nutrient runoff from heavy rains earlier this year that I documented in a previous post have combined to create excess algal growth and low oxygen conditions in the Neuse and Tar-Pamlico estuaries. News reports on both the Neuse and Tar-Pamlico describe millions of menhanden dead and washed ashore. 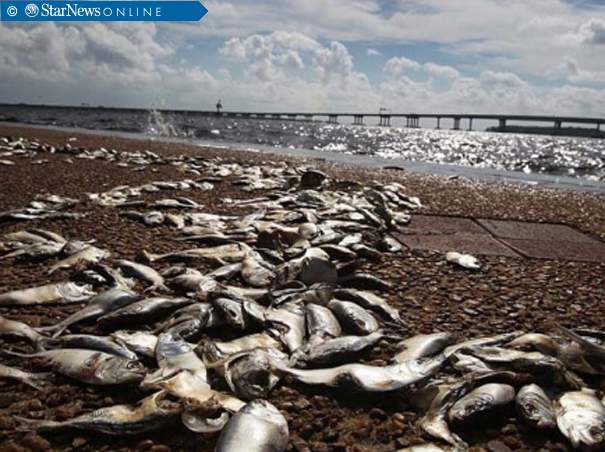 Fish kills of this magnitude are troubling and typically happen in the late-summer and fall. They indicate that efforts to better control nutrients in the river need to be maintained or increased if we are going to see a more balanced and resilient estuarine ecosystem.